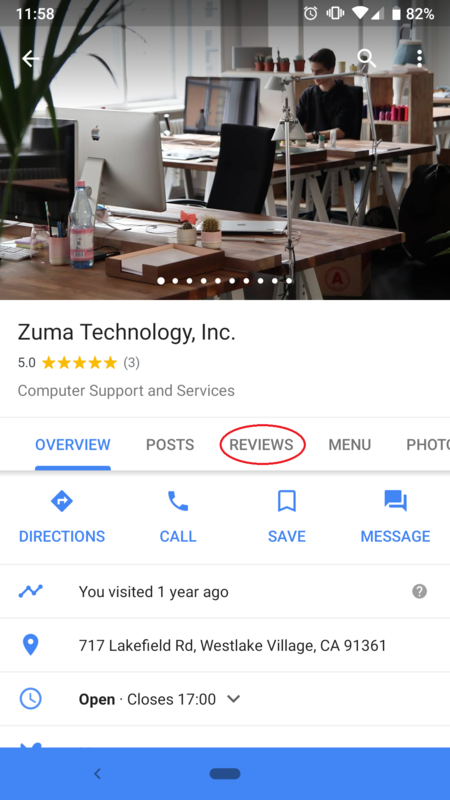 Why Should I Leave a Google Review? Reviews let businesses know how they’re doing. Positive reviews are great for reinforcing a business’ good practices. Conversely, negative reviews give businesses insight into how they can improve. In the age of interconnectedness, honest reviews inform customers as well as the businesses that service them. Leaving a review on Google doesn’t take a lot of time. In fact, it can take as little as two minutes of your time. The reviews you leave can be as long or short as you’d like and you can put in as much detail as you wish. Okay, I Want To Leave a Google Review. How Do I Do It? It’s very easy! We’ll go over the three main ways that you can leave a Google review. First up will be on your mobile device. You will need to have a Google account to leave a review. Don’t have one? Sign up here. 1. 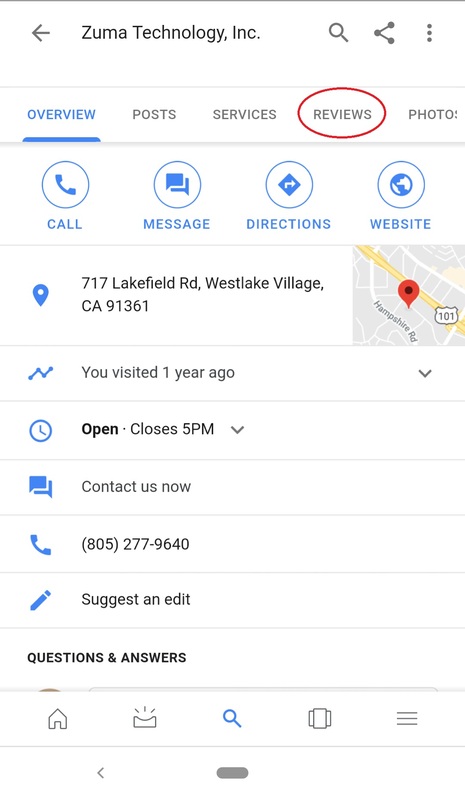 Open the Google Maps app (make sure you’re signed into your Google account). 2. Find the business that you’re looking for. You can use the search bar at the top to search for the business. 3. Tap on the name of the business. 4. Tap on the tab that says “Reviews”. 1. Search for the business that you’re looking for. 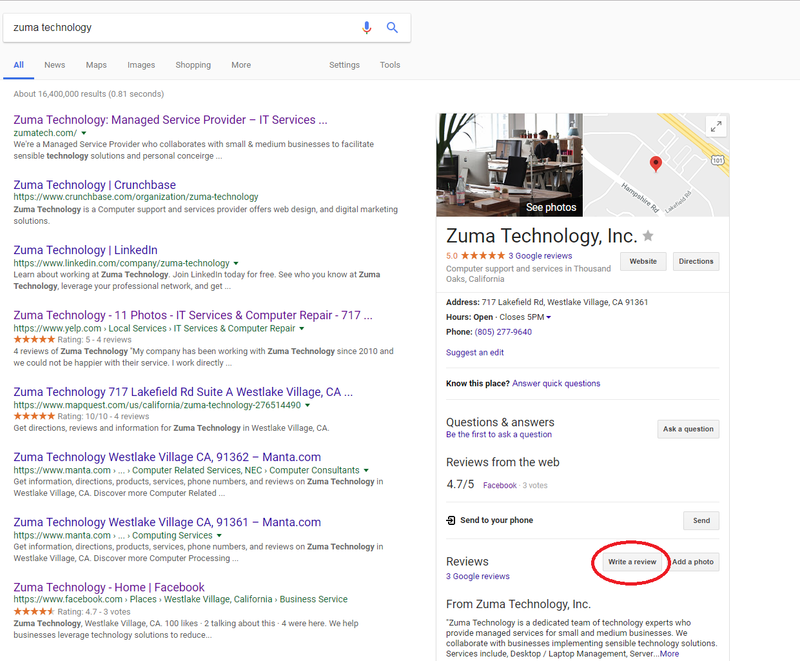 You can use the search bar at the top search for the business (make sure you’re signed into your Google account). 2. Tap on the tab that says “Reviews”. Not using your mobile device? Here’s how to leave a Google review on Desktop. 1. Search for the business (make sure you’re signed into your Google account). 2. On the right-hand side, you will see a “Reviews” section (you may need to scroll down to find it). 3. Click on the “Write a review” button. 1. 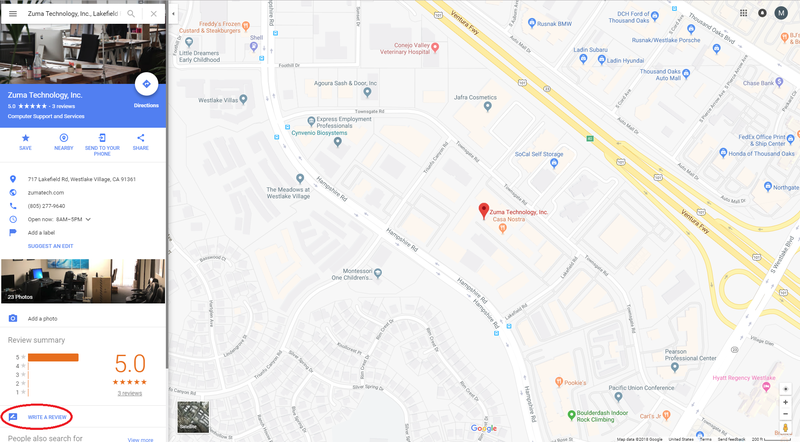 On Google Maps, search for the business (make sure you’re signed into your Google account). 2. On the left-hand side, you will see a link that says “Write A Review” (you may need to scroll down to find it). And there you have it! Quick and simple, yet hugely important. Have you left a review for other businesses? Let us know in the comments!